In honor of its 20th anniversary, Bayfest announced this morning “throwback” ticket pricing for a limited time only next week. 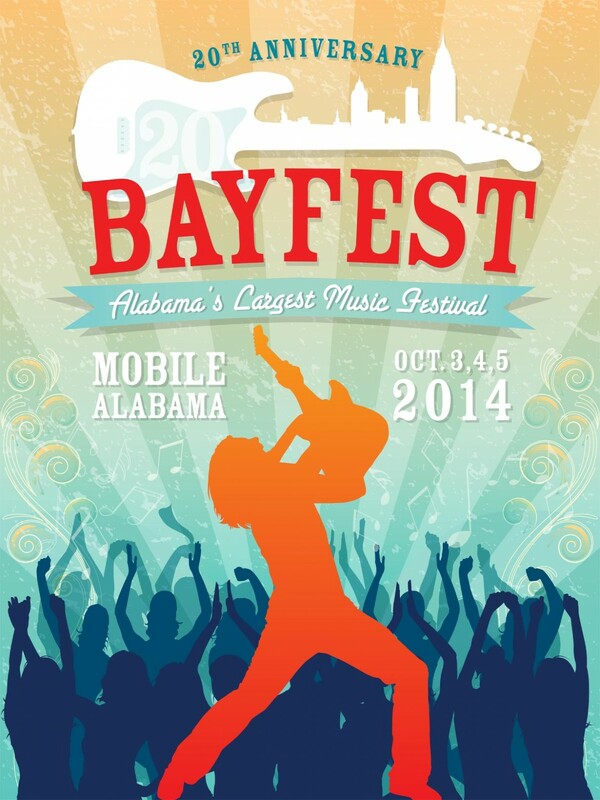 According to a press release, weekend passes to BayFest were only $20 per person in 1995 and will be sold at the same rate July 1-2 of this year. These special anniversary passes can be purchased online only at www.bayfest.com and picked up at the festival will call (corner of St. Joseph and St. Francis Streets) beginning Oct. 3. Tickets at this rate are limited in number and each customer will only be allowed to purchase two passes while supplies last. Advanced weekend passes go on sale July 11 through Sept. 19 for $60. After Sept. 19, prices increase to $80. Single-day passes will be available at the festival gates for $40 each day. Advanced weekend passes will also be available online and at area Circle K locations. Children 12 and under receive free admission with an adult ticket holder. The official artist lineup will be announced Friday, July 11 while the festival is set for Oct. 3-5, 2014. The official artwork for Bayfest 2014 was created by Carl Norman.